Thomas W. Malone is the Patrick J. McGovern Professor of Management at the MIT Sloan School of Management and the founding director of the MIT Center for Collective Intelligence. He was also the founder and director of the MIT Center for Coordination Science and one of the two founding co-directors of the MIT Initiative on "Inventing the Organizations of the 21st Century". Professor Malone teaches classes on leadership and information technology, and his research focuses on how new organizations can be designed to take advantage of the possibilities provided by information technology. The past two decades of his research are summarized in his critically acclaimed book, The Future of Work: How the New Order of Business Will Shape Your Organization, Your Management Style, and Your Life (Harvard Business School Press, 2004). 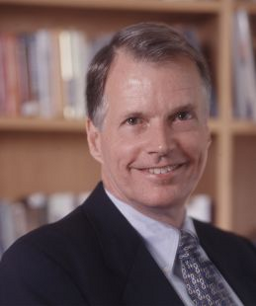 Professor Malone has also published over 75 articles, research papers, and book chapters; he is an inventor with 11 patents; and he is the co-editor of three books: Coordination Theory and Collaboration Technology (Erlbaum, 2001), Inventing the Organizations of the 21st Century (MIT Press, 2003), and Organizing Business Knowledge: The MIT Process Handbook (MIT Press, 2003). Malone has been a cofounder of three software companies and has consulted and served as a board member for a number of other organizations. His background includes work as a research scientist at Xerox Palo Alto Research Center (PARC), a Ph.D. from Stanford University, and degrees in applied mathematics, engineering, and psychology. for being one of our Silver Supporters.